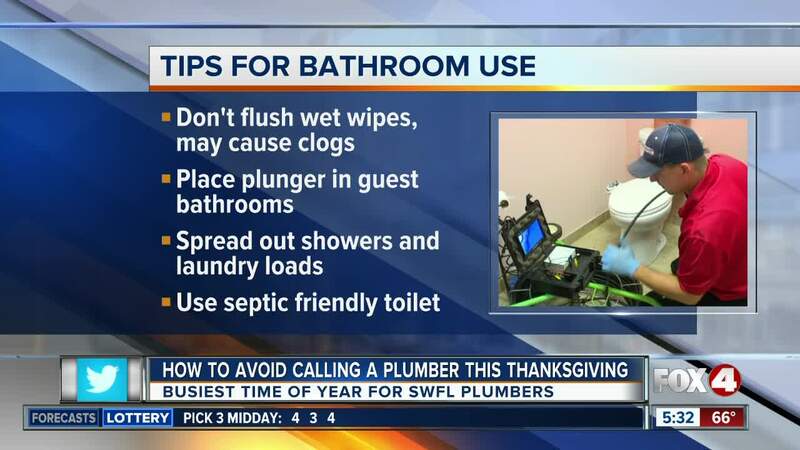 Local plumbers say the holiday season is their busiest time of year, and to avoid having to call one, Next Plumbing shared some tips you can use in your kitchen and bathroom. Plumbers say having more guests can cause more strain on your home. In the kitchen, you should not be putting certain items down your drain, including fats, cooking oils, potato skins, poultry skins, bones, rice, dry pasta or celery. Plumbers say celery can break down into fibrous threads when put down your disposal, and those threads can wrap around your disposal blades causing issues. In your bathroom, plumbers say you should only flush toilet paper. Don't flush wet wipes or feminine products, even if it says they are "flushable." Patrick Garner, the Operations Manager for Next Plumbing, said, "When you have your baby wipes, your feminine products, paper towels, they're not designed to break down, and what they do is they slowly tear and they become a stringy substance. And a lot of homes, especially the older ones in Florida, are made with cast iron piping. Over the years, they become jagged and they catch on to these little strings, and again they just slowly create a blockage." If you have a lot of guests, try to use septic friendly toilet paper and spread out laundry loads and showers as often as you can. 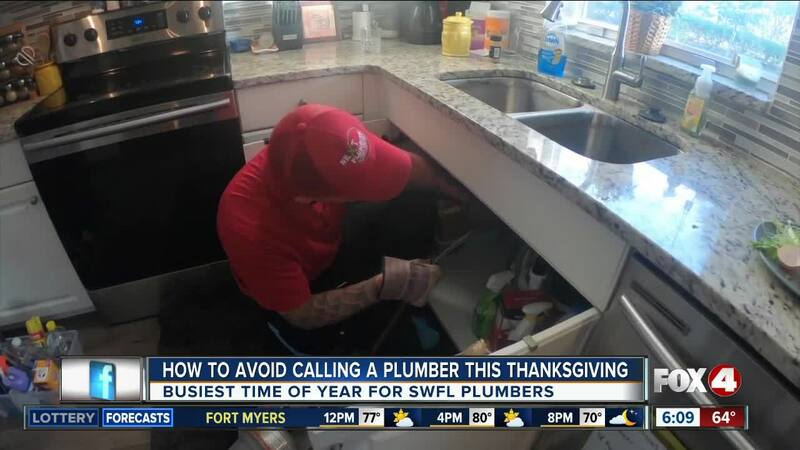 If you need a plumber this holiday season, Next Plumbing is open 24-7, including Thanksgiving Day. You can reach them at 239-307-0404.